Marsh Kitchen & Bath designs and builds beautiful spaces for today's homeowner. Our builder partners share our goal of bringing customers the best in kitchen and bathroom design and remodeling services. Whether you're building a new home or remodeling an existing one, a Marsh kitchen and bath designer can bring your ideas to life. From helping you create and customize your new kitchen or bathroom design to installing custom cabinets and countertops, Marsh Kitchen & Bath takes care of every step in the remodeling process. 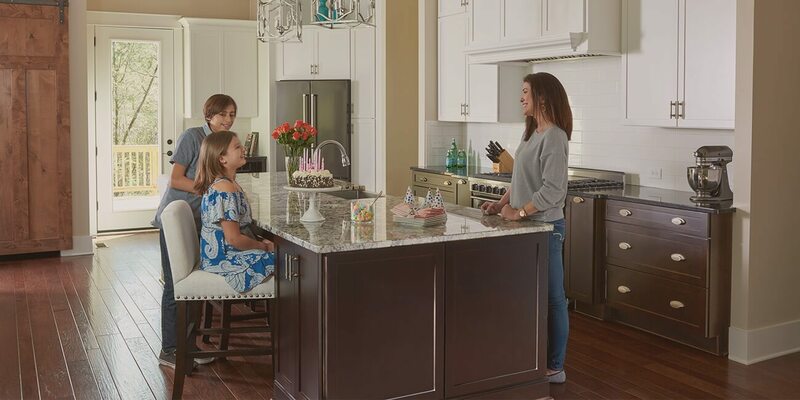 With five design centers throughout North Carolina, our team of professional kitchen and bath designers and certified installers are ready to help you create the spaces your family will enjoy for years to come. At Marsh Kitchen & Bath, we are defined by our Xpertise, Xcellence, and Xperience—traits that guide our promise to the customers we work with and lead Marsh X, the process we follow from design through installation. More than 110 years have passed since Marsh Furniture Company created its first freestanding cabinet designed to store pots, pans, and even pies. Kitchens have changed since then, but the Marsh commitment to meeting the changing needs of customers through beautiful, functional kitchens remains as strong now as it was in 1906. At Marsh Kitchen & Bath, we're proud to sell Marsh Cabinets, direct from the factory, with more than a century of expertise built into each one. 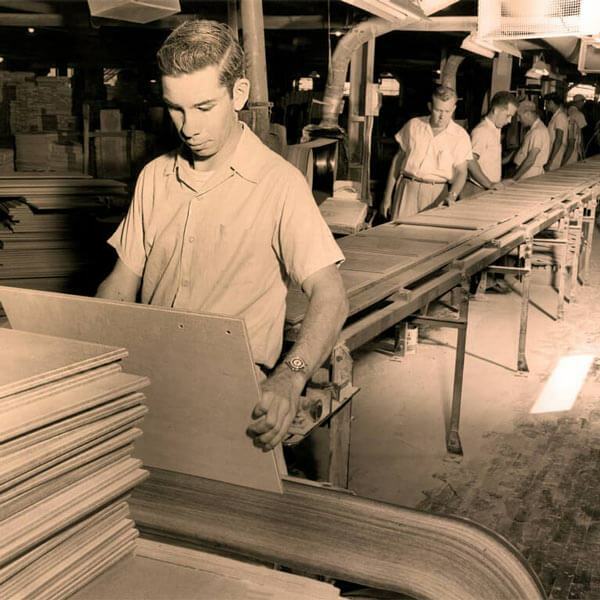 From selection of woods to careful control of the finishing process, Marsh Furniture Company is dedicated to building cabinets that exceed the expectations of today's homeowners. At Marsh Kitchen & Bath, we carry that commitment to excellence forward by sweating the small details, and the large ones, helping our customers bring their projects to life. We carry a wide range of affordable products while offering customization that helps finalize the most intricate designs. Customers are at the center of our work. Our goal is to make your kitchen or bathroom remodeling project a fun experience from start to finish. By the end of installation, you can expect to be sipping your morning coffee in your dream kitchen or experiencing your daily routine in a spa-like bathroom. That’s because, at Marsh Kitchen & Bath, we understand that we are helping you select much more than cabinets, countertops, and hardware—we are helping you create the HEART OF YOUR HOME. Everyone has a vision for their perfect kitchen or bath. We start our process by asking you to invite us inside your vision so we can Xamine your preferences, lifestyle, needs for today, and anticipated needs for the future. This in-depth process will help uncover your dream space. Next, it's time to Xplore a Marsh Kitchen & Bath showroom. Here, you'll find innovative ideas and endless inspiration through a number of distinctive model kitchens and baths. You'll see cabinets in a number of finish options that reflect traditional, transitional, and contemporary styles. Now, it's time to take your ideas home, where they will ultimately live. Measuring tape in hand, we will join you there so we can see firsthand the the challenges and opportunities you are facing. 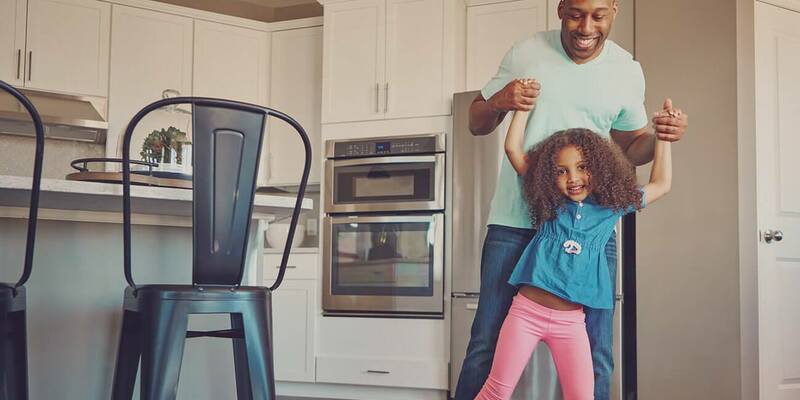 We'll measure your space, listen to your goals, and walk you through ways you can make the space work harder for your family. Ready to begin? Once you approve your quote, it's time to start the magic. We will quickly move into production and schedule your installation with our certified contractors. Using a sophisticated software program, we will track everything involved in your Marsh kitchen or bath. Our mission is to make sure your project stays on target and budget. 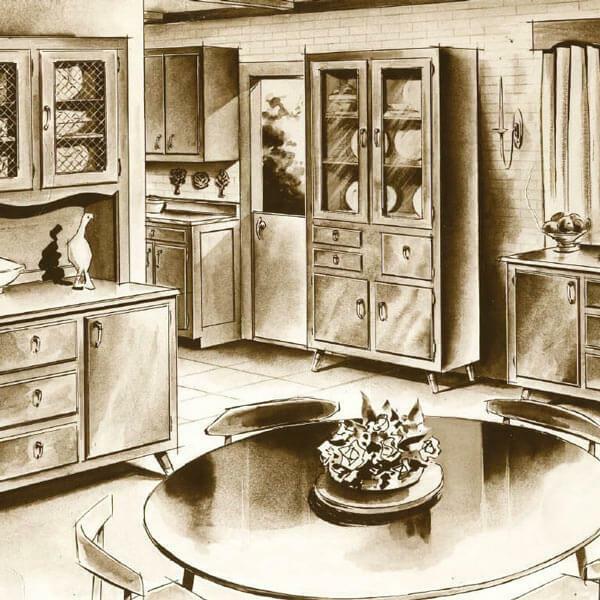 From his one-room shop in High Point, North Carolina, Julius Everett Marsh, Sr. and his crew of dedicated carpenters crafted functional and decorative furniture for the kitchen at a time when the “kitchen cabinet” was still a revolutionary idea. 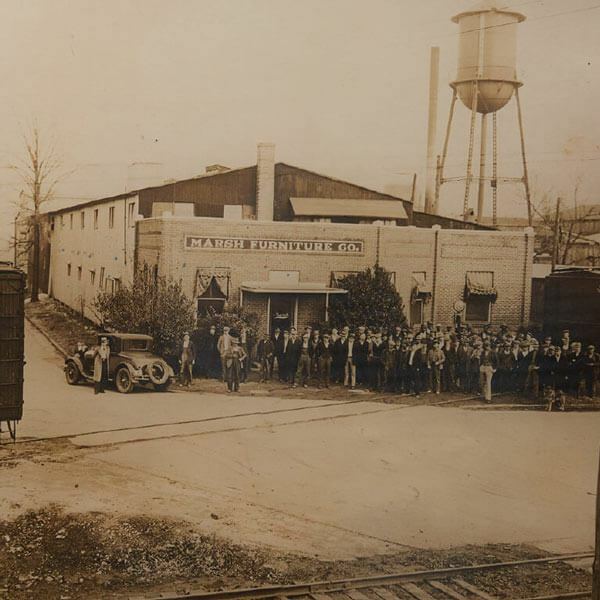 More than 110 years later, Marsh Furniture Company continues to manufacture quality kitchen and bath cabinets that are sold factory-direct to Marsh Kitchen & Bath. 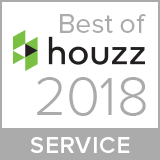 For the homeowners and builders we work with, this drives an experience backed by long-standing partnerships with the factory and other suppliers.